Grandparents can play a very important role in the lives and development of their grandchildren. Most families in Florida want grandparents to be involved. At the same time, there are cases in which conflicts arise between parents and grandparents. There are also cases in which grandparents may need to take action to protect a child. In the state of Florida, grandparents are granted some statutory rights under the state’s family law code. However, these rights are quite limited. In this post, our Clearwater family attorney highlights three of the most important things that you need to know about grandparents’ visitation rights in Florida. The only remaining parent has been convicted of a felony or another offense that puts the child at risk. If either of these circumstances applies to a case, then Florida law allows grandparents to petition directly for court-ordered visitation rights. 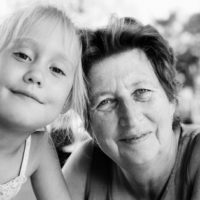 When this occurs, the family law court will review the specific facts of the case to determine if legally sanctioned grandparent visitation is in the best interests of the child. As Florida law always puts parents ahead of other relatives, grandparents need to be ready to present a very strong case if they are going to court. Parents have considerable legal authority over their children. If a child’s parent does not want a grandparent involved in a child’s life and that parent is reasonably fit to care for their child, unfortunately, there is very little that a grandparent or any other non-parental relative can do from a legal perspective. For this reason, informal discussion and counseling is often the best option in these cases. Children benefit from living in a happy and stable family environment. Disputes or disagreements between parents and grandparents may be resolvable without getting the law involved. It is important to remember that the best interests of the child always come first. When considering grandparent child custody rights, parental fitness is the key issue. If your grandchildren are in a dangerous or unhealthy environment because your child or your grandkids’ other parent is incapable or unwilling to fulfill their role as a parent, you need to be ready to take action. Grandparents may be granted temporary child custody in circumstances in which the child’s parents are unfit. If you believe your grandchild is in any type of dangerous or unhealthy situation, you should speak to a Florida child custody lawyer immediately. At the Law Office of Gale H. Moore P.A., we have the skills and experience required to represent grandparents’ rights in the full range of child custody & visitation cases. To arrange a full private review of your case, please do not hesitate to contact us today at 727-584-2528. We represent clients in Largo, Clearwater, Dunedin, Palm Harbor, Pinellas Park, and throughout the surrounding communities.